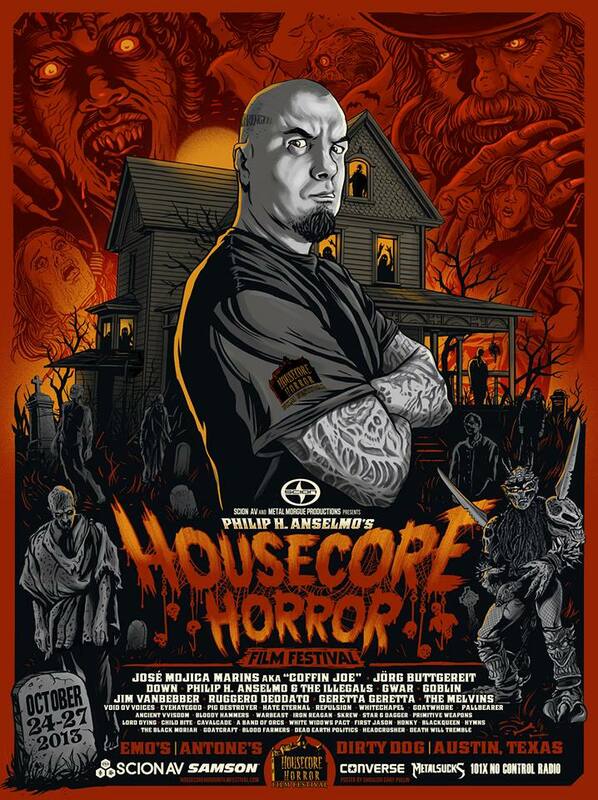 I volunteered and helped out with Philip H. Anselmo’s Housecore Horror Film Festival (HHFF). It was a great experience as I was able to lead and manage groups of other volunteers that were dedicated to make this inaugural event a huge success. Just in time for Halloween, for both music and film enthusiast alike, it was a perfect melding of the two. Surely, this will become an annual and or future touring event. This entry was posted in Matthew Comer and tagged 2013, hhff, housecore horror film festival, matthew comer, philip h. anselmo, volunteer. Bookmark the permalink.